Do you need a user friendly point and shoot HD camera when you work in hazardous areas? The Gravity X intrinsically safe camera allows you to take high quality images where no other cameras are allowed. It is ATEX and IECEx Zone 1 and Zone 2, as well as CSA Class 1, Zone 1 (for US and Canada). 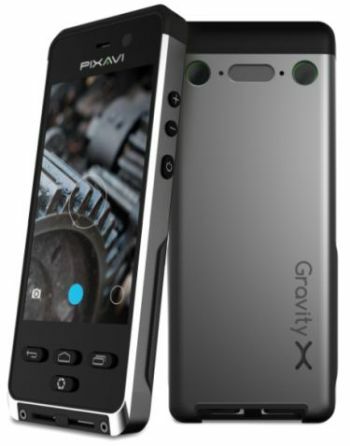 The Gravity X has 8 Mpix HD image sensors, as well as an LED light and an easily readable, glove compatible touch display. The Gravity X can capture full HD 1080p video and 8 Mpix images, whilst also providing high end optics and an extremely fast zoom and auto focus. The device immediately uploads any images, videos or audio straight onto a linked network or computer when out in the field. The camera can take high quality pictures, even in dark areas with its powerful LED light and is a great replacement for the Xcorder EX4000 camera. Bartec have combined a rugged look with a high quality performance, which is something that customers have not been able to purchase in the past. They have also added some extra features which no other cameras have, such as a boot time of 0.5 seconds and a camera button which allows the user to take quick, on the spot images. The Gravity X has been specifically designed with features which will be needed in the field, such as battery lifetime, ruggedness, sunlight readability and camera performance. The dedicated camera button has a two step procedure where the AE parameters are set before you take the shot, to ensure that the best quality photo is achieved. The camera comes with several apps and lots more are available online, this means the user can customize the device to suit their needs. There are many diverse apps, some of these include applications for remote triggering of images, timed images, landscape shots and loads more. Bartec have designed this product based on 13 years of experience and also in cooperation with end users and their needs. The camera is extremely lightweight (only 290 grams), has glove touch technology and can fit inside any normal pocket or be held in one hand because of its smart design. The camera has advanced technology which ensures that the camera can function efficiently on a low power consumption and also has double the battery capacity, meaning that you can get a full days use without having to recharge. A 3000mAh battery ensures many active workdays of power. The Gravity X's rugged design ensures that it can withstand the toughest environments, as well as being impact proof, drop proof, dust proof, corrosion proof and water proof and able to withstand extreme temperatures. Android devices are secure, stable, updated and offer the user a massive library of applications to choose from. Bring any app into hazardous areas, including a wide range of value adding applications and services, such as mobility and ERP solutions, device management, video conferencing applications and every other Android app. The Gravity X is a stripped down version of the Impact X, Bartec have removed the 3G wireless and SIM card capabilities to enable a reduction in price.